negative reviews from dissatisfied customers. Check out below. This is the demo card for Luigi's Pizza. 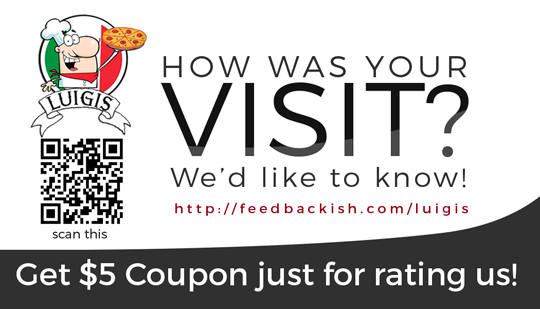 This card will be given to customers of Luigi's Pizza after their meal. Notice that this card has a logo, QR code, website address, and the most IMPORTANT piece, the incentive to do the review. Customers are willing to make an extra effort to visit the portal and leave feedback about their stay in return for the offer. Because of this, there's a BIG possibility that they'll rate you more stars because you're doing something to improve your service, plus you're giving away an awesome deal. Scan the QR code, visit the website or click the button below. Ready to save your business? Do you have other themes or designs aside from the demo? Yes, we have a few built-in themes that you can choose from. We can also customize the themes to more closely match your brand. Where is the review portal hosted? We host the review portal using our Feedbackish website to ensure that the page is up 24/7 for your customers. Can I add more options or questions? Yes, of course! You can add as many questions or options as you want but we recommend no more than 5 questions. What review sites are integrated in the review portal? 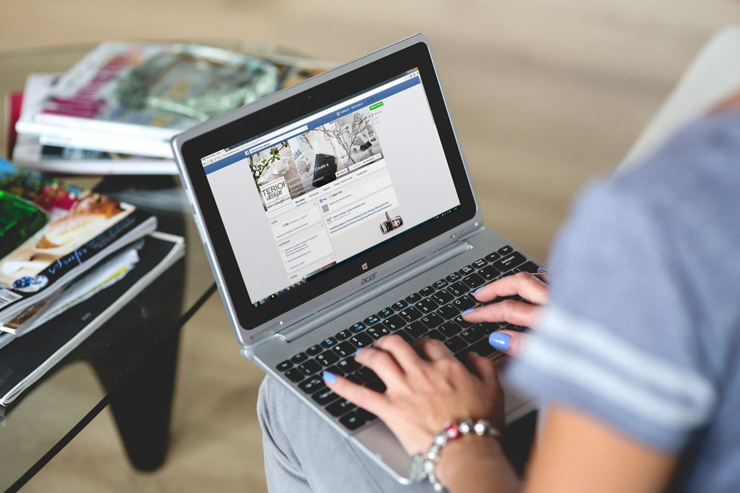 We connect to the most popular review sites like Yelp, Facebook, Google+, Local, Foursquare, TripAdvisor, and many more! Can I design my own card? The design of the card is included in the package but we can modify or design it to more closely match your own brand. Who will be the one to print the card? This package includes 50 high-quality print cards ready for you to use. We will also include an electronic version so you can print it yourself if you wish. Start cleaning your online image today! Tired of leaving the fate of your business in the hands of others? If you're looking for a solution to save your image and reputation online, our team from Best Web Marketer has much to offer. We have the best tools and resources to manage your online reputation. So if you’re serious about taking your online lead generation efforts to the next level, your reputation CANNOT be ignored. Contact Us Today! Disclaimer: The promotion is in no way sponsored, endorsed or administered by, or associated with, Facebook. Click here to see full terms & conditions.